The markhor is a large species of wild goat endemic to Afghanistan, Pakistan, Tajikistan and Uzbekistan. They live in the high mountains. They are usually found in the western chain of the Himalaya Mountains. It is also known as Shakhawat. It is the close cousin of the domestic goat (Capra hircus) and the alpine ibex (Capra ibex). Its size is average compared to that of his cousins. A female can measure 1.35 m long. A male reaches 1.80 m long. The average female weighs 35 kg, while a male subject can exceed 100 kg. Its fur is mixed with gray and brown or gray and a touch a little redhead. During the winter season, the hairs become very long to protect it from the cold mountains. It loses them when summer comes. The shape of the horns is spiral. The male’s horns are different from those of the female because of its length. These can reach 1 meter and a half. Those of the female reaches just 25 cm. 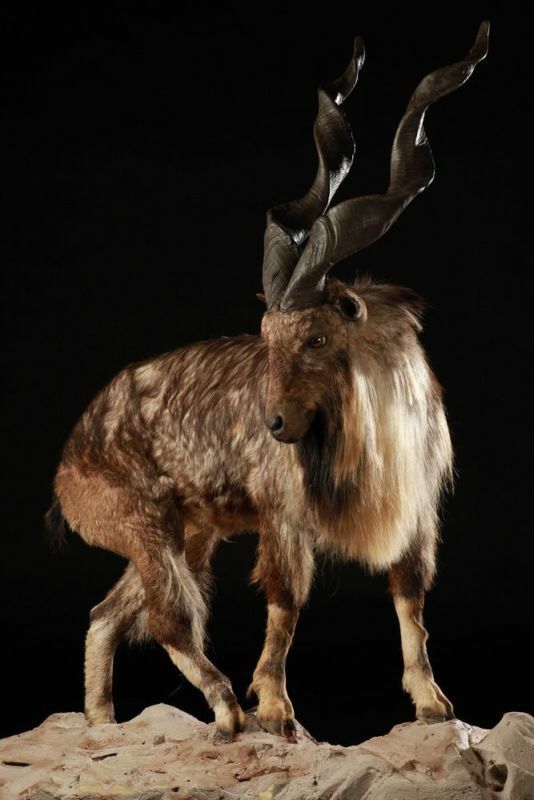 Both sexes have a beard about 20 cm.Markhor feeds mainly on young shoots, leaves and twigs. It is a herbivore. The female of this species is very gregarious. In contrast, males are solitary. These two groups together, however when the time of love comes. This large group can gather a good fifteen to thirty individuals. 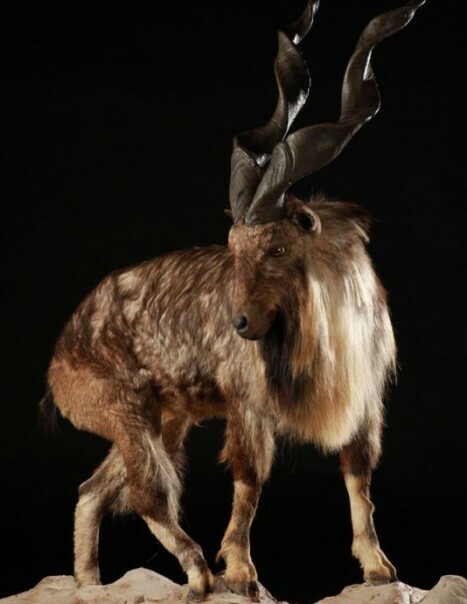 The mating season lasts for the fall and winter with the markhor. Males leave their solitude that time. Gestation lasts 3 to 5 months and a half in the female. The latter gives birth to one to two litter.In captivity, a markhor can live up to 12 years.